Yamin & Grant represents business clients in various industries, from sole proprietorships to publicly traded companies. Yamin & Grant is committed to providing effective and practical legal solutions. The firm’s work for its clients often involves litigating complex and unique business disputes that the client has never planned, let alone previously confronted. Yamin & Grant actively represents clients in litigation involving construction disputes, commercial transactions, insurance coverage, business torts, fiduciary duties, shareholder disputes, contractual disputes and employment related matters. Its attorneys regularly appear in State and Federal courts throughout Connecticut and have appeared and litigated cases in other parts of the country in association with lawyers from those jurisdictions, when necessary, to assist clients. It is not unusual for Yamin & Grant to be asked to service all of a client’s regular legal needs, as well as assist in the development of broader strategies to avoid costly disputes, while positioning a client for success should an inevitable legal dispute arise. The firm regularly advises its clients regarding the formation of business organizations, issues of corporate governance, the structuring of purchase and sale transactions and commercial leasing and property transactions. 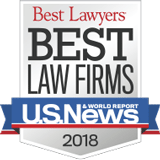 This work also involves close interactions with accounting, banking and real estate professionals, as well as other attorneys and experts in many fields.